There are strict regulations regarding export compliance. Make sure you know what's required of you. 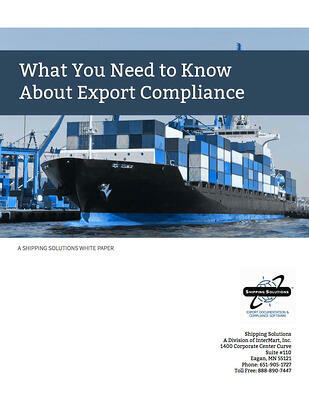 Export compliance regulations don’t just apply to the big guys. Even the smallest U.S. businesses that send their products to customers outside the country are subject to a variety of export regulations and could face substantial penalties for violating these rules. Unfortunately for many small and medium-sized businesses, company personnel may not know these requirements until it’s too late. Like what you see? Share Shipping Solutions now.